Wrapping the frost of the first coldness in the soft embrace of a fur is a pleasure that we gladly renew every winter. 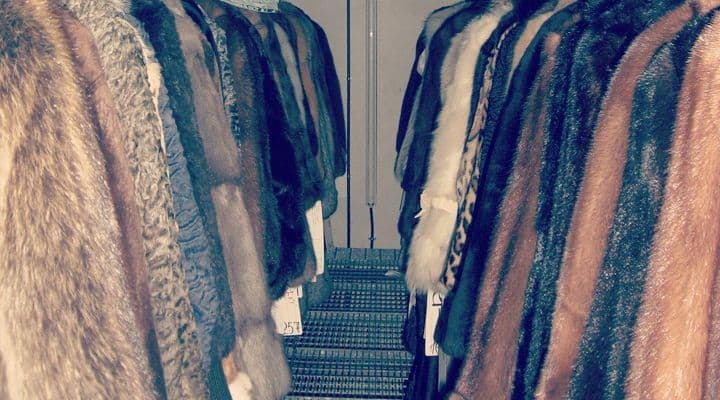 To find it still intact, Dellera offers a service of cleaning and storage, dedicated to furs that were ruined by harsh and humid winter climate: when winter season is over, the fur is placed in armored cellars at a constant temperature, then cleaned with a light sawdust wash, scouring of the neck, steam blowing, beating and specific mot-repelling treatment. Dellera assistance services also extend to used fur coats, with the overvaluation of the old furs coats, which are discounted on the new purchase, and a creative workshop always available for remodeling outdated fur coats. The staff of Dellera’s artisan laboratory does alterations and restyling of any kind of fur coats. All Dellera’s fur coats are provided with a warranty for periodical check-ups that are valid for 10 years and coupons for free treatment (anti-moth, threshing, swelling, control of seams, linings and buttons care treatments).